This was the last event in the first ever Apollo Bay Winter Festival and was to have been the Western District Choral Festival. Luckily, despite the small number of choirs able to attend, the decision was made to replace the WDCF with a concert. The host choir, Apollo Bay Community Choir began and finished the concert. The concert started with the choir behind the audience, moving down the central aisle as they sang a folk tune. 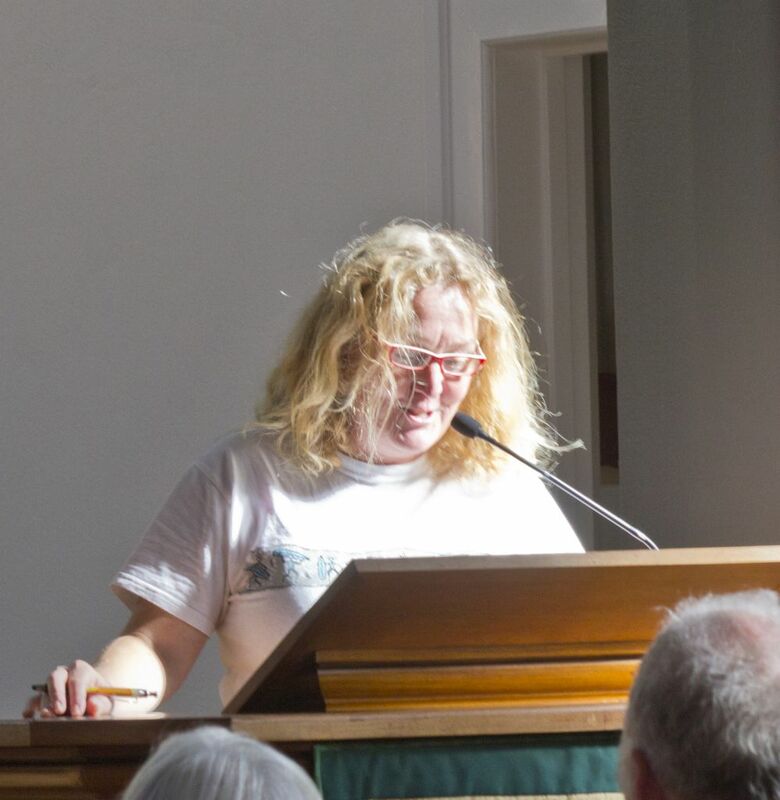 Once at the front of the church, two more songs were sung, including Rolling in the Deep – in a setting which gained in complexity from unison, to two and finally three part harmony. 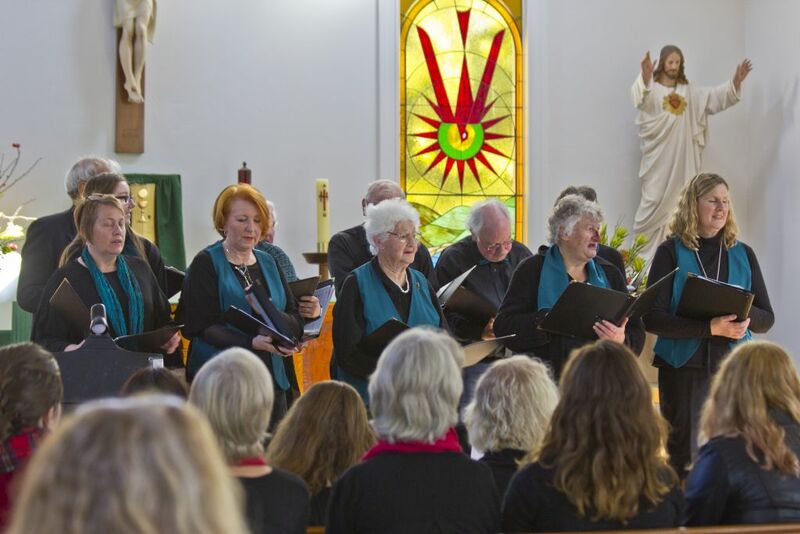 Apollo Bay choir is conducted by Annabel Tunley. The concert was most entertainingly compered by Caroline Wren, from 3ABR (87.6FM). The Colac Chorale had taken the fire theme for this final weekend of the Winter Festival to choose three songs. First they sang William James’s Bush Night Song, followed by The Never Never by Letty Katts and Keep the Home Fires Burning, a patriotic song, composed in 1914 by Ivor Novello. A quintet from the Deans Marsh Singers presented Eric Bogles’ Shelter, The Parting Glass , a Scottish song, and The Irish Blessing (May the Road …). There was a fine sense of ensemble, including a full range of dynamics. 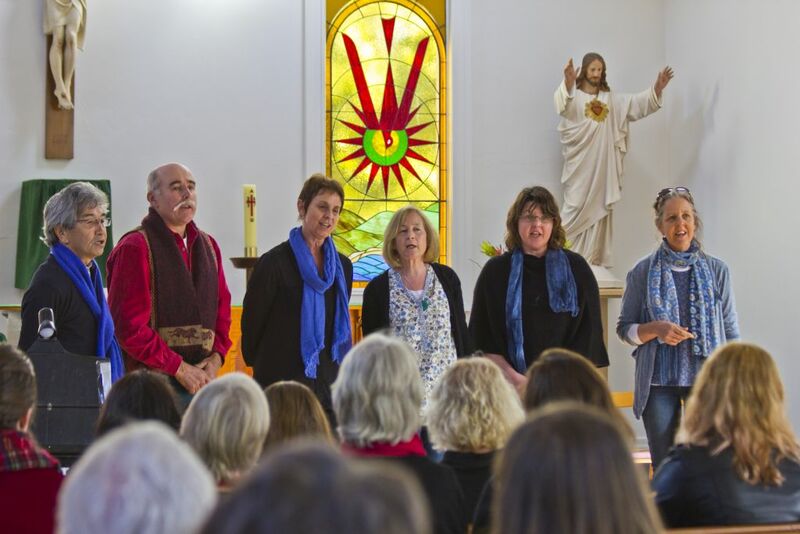 With a return of The Apollo Bay Community Choir the audience enjoyed three more songs. 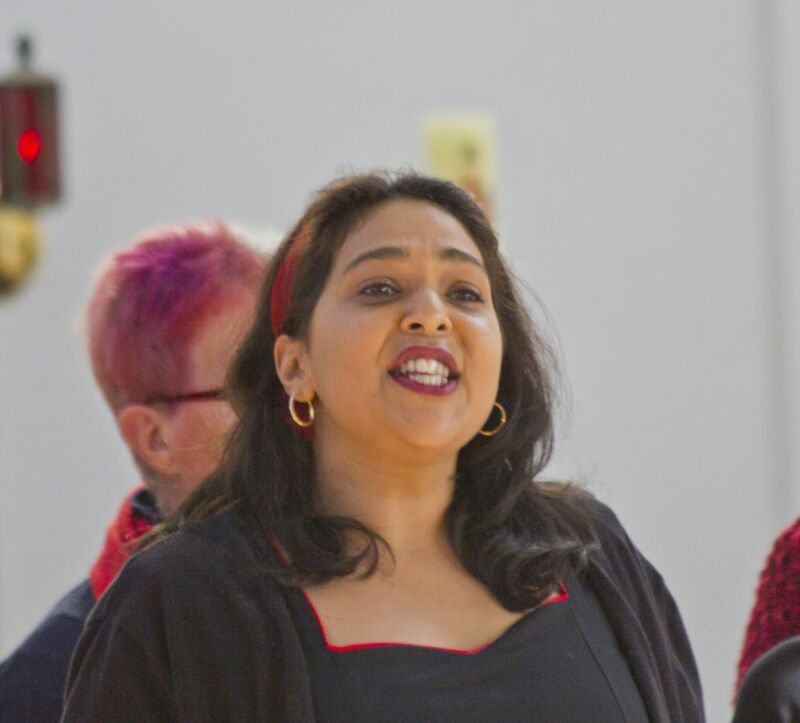 The concert culminated with three pieces, which were originally planned for massed singing of all the choirs, Zidele, Shona Mananga (a South African uprising song with a stunning performance by a soloist leading the choir) before a farewell to all with May Your Cup Always be Full. This was a most enjoyable end to the festival and was well attended mainly by members of the local community. Congratulations to Apollo Bay Community Choir for turning a disappointment into a delightful afternoon of music making. Images of the Fire ceremony Saturday evening 12th August.